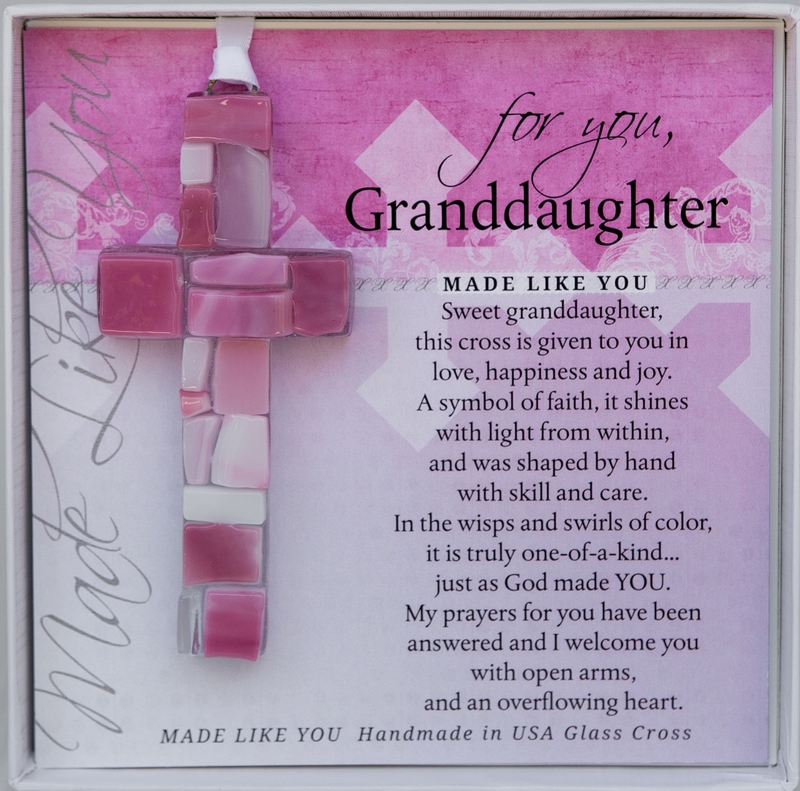 A truly one-of-a-kind gift for a granddaughter. Our mosaic glass cross is handmade in the USA and is a blend of clear and pink glass shades. 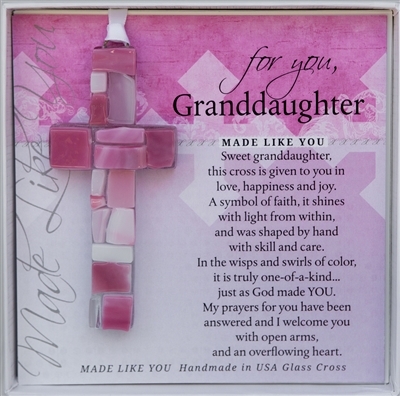 Each cross is uniquely made, just as your Granddaughter is uniquely and wonderfully made! This 4 inch cross hangs from a white satin ribbon, perfect for year round display or as an annual treasure on a Christmas tree. Perfect gift for my granddaughter's first communion. She loves it! Also needed item as soon as possible. I called the company and they were so helpful and friendly. Said it should arrive in a few days but to make sure, she shipped it out out that day. I did receive it in two days. Wonderful service!